Can you help with promoting our winner of our 'Membership for a Penny' 2018 draw? A very proud winner of our 2018 prize draw was Jeremy Hopkins pictured on right. 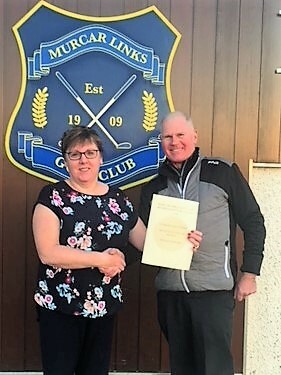 To be in with a chance of winning a membership in 2019 you can purchase your ticket at Murcar Links Golf Club's clubhouse.